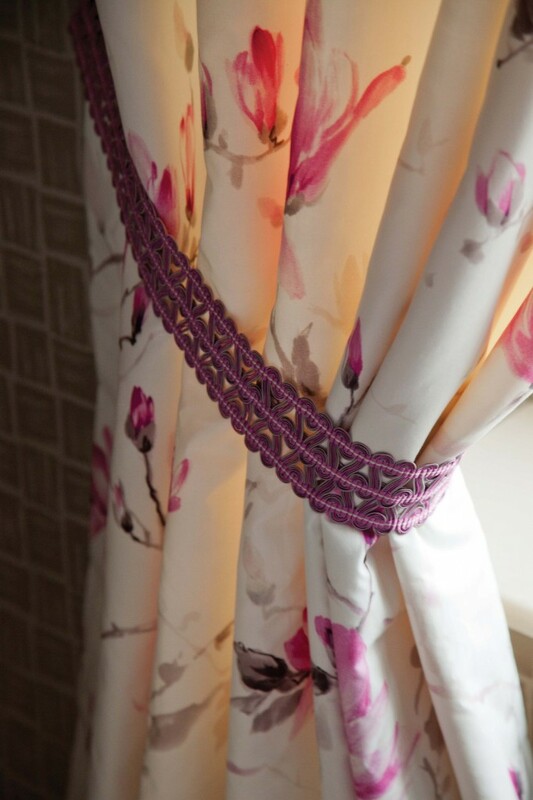 Bromley Curtains and Blinds » Trimmings and tie backs – add colour and interest to your window dressings. At this time of year, everything looks a little dull and our thoughts turn to spring and how we can breathe new life into our homes without breaking the bank. A good way of adding colour into the room is with some new cushions, added to a neutral back drop this can change the feel of the room without too much expense. 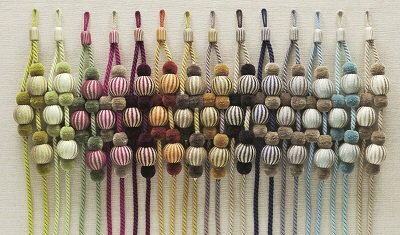 Cushions can be changed seasonally, creating a more cosy atmosphere in winter and a bright, fresh look in the Spring and Summer. 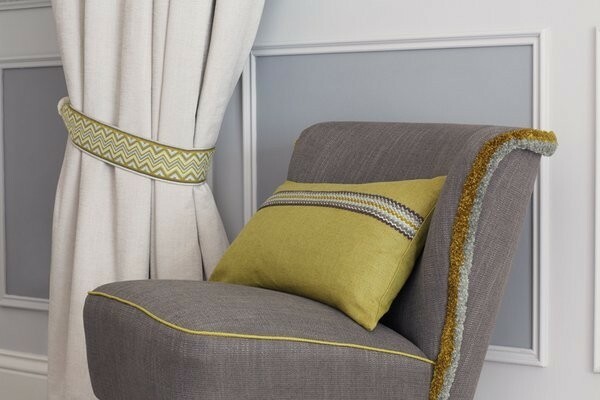 Try adding some new tie backs to curtains and teaming them with trimmings on the cushions. OSBORNE & LITTLE have some of the best trimmings on the market. The lattice embrasse tie back is one of my favorites. 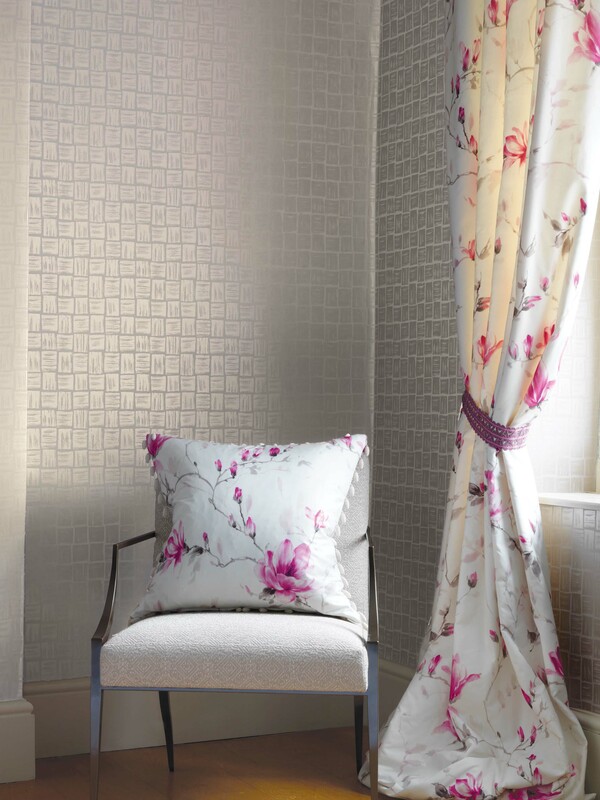 Teamed with the fresh Nina Campbell fabric below creates a wonderfully fresh spring look.